Although you stated the bowls came in White and Yellow I have a set of Dark Blue. I have the 10" in blue. Do you really have a dark blue set of these??? I had no idea there was such a thing. When Martha by Mail was around they only offered yellow and white. PLEASE email me a picture of them. I want to see! I have a set of the mustard that I'm giving to my granddaughter -- do you remember the price? 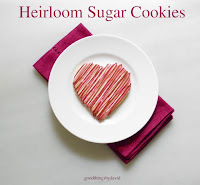 Doesn't matter, I just want her to know they have heirloom value. No No, give them to me!! I'm joking. At the time these beautiful bowls were offered, the set was going for $75 with an additional shipping charge of $8 or $10 (this was because of their weight). Keep in mind, most sets never arrived intact because there was a problem with their packaging. SO....if you have an entire set that's intact, you can definitely tell your granddaughter that she has a set of bowls that very few people own. I hope she enjoys them!! Guess I was lucky -- all 3 arrived in tact and I have used them often over the years. My other favorite "Martha" items are a robin-egg blue Le Creuset 9x13 enameled castiron that I make use when making Martha's (grown-up decadent version) Mac & Cheese. The other is a HUGE rectangular white roasting dish. After we moved it has never fit in any oven I've had so I've used it as a serving dish -- always impressive...but alas, we are down-sizing so I sold it to a co-worker. I love Martha's style and taste always have always will! That Le Creuset set in drabware with the robin's egg blue interior was beautiful. I regret not getting them. By the way, send me images of those mustard colored Great Big Mixing Bowls if you can. My dog just broke my medium sized white bowl. Grrrr! I've had these since my college days when I worked in a retail gift store...I scored them for 40% of their retail price! Any ideas for finding a replacement? Well, you sometimes do see them come up for auction on ebay or maybe etsy. Keep an eye out for this particular style of bowls. Do you have the white or the yellow ones? Do you remember the set of yelloware mixing bowls (MBM)? Those were my favorite. Oh I regret not purchasing those. I actually have the largest mixing bowl in a seafoam or olive green color and my mom has the white set. A little quilt shop with primitives in mid-Missouri used to sell them. 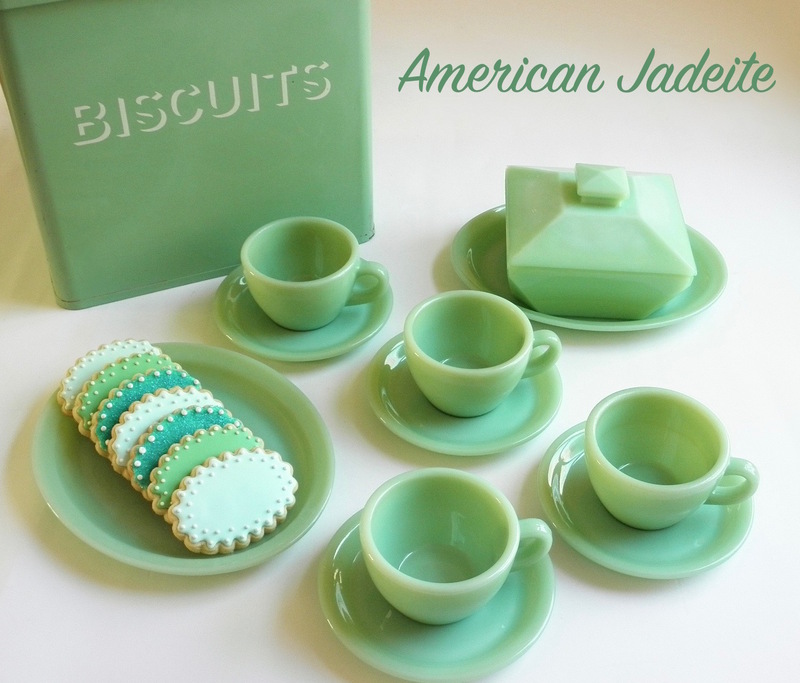 Jeannie, I have never heard of these coming in seafoam/olive green! Wow, that is amazing. 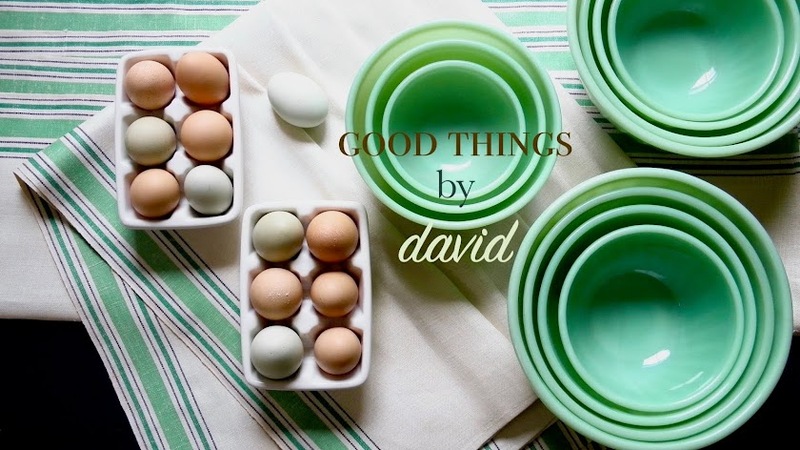 I love the mixing bowls because they are so well made and are generously proportioned.